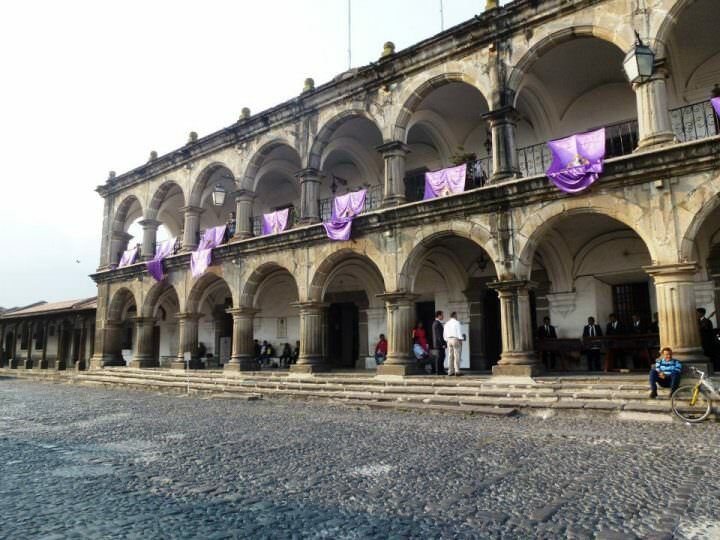 Guatemala’s top tourist destination is the captivating colonial city of Antigua. It has a rare charm that will mesmerize and leave you utterly speechless. There are a myriad of things that make Antigua so special. 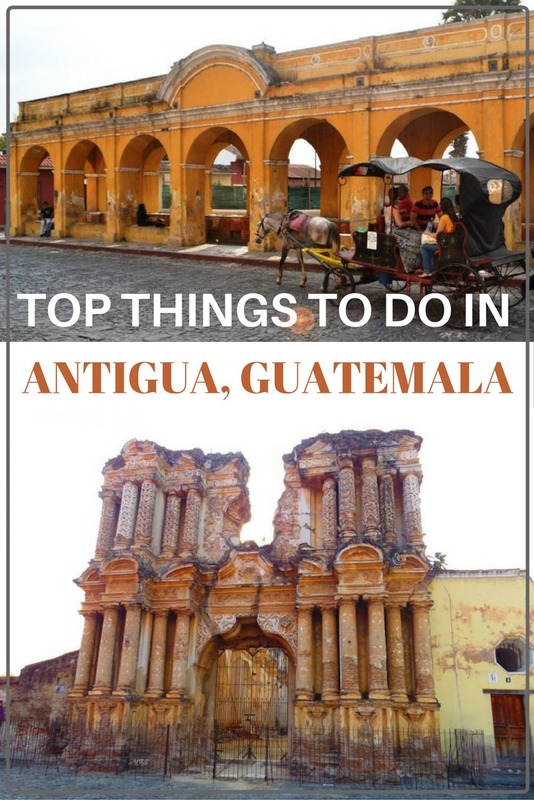 The vibrantly coloured buildings, the impressive colonial architecture, the infectious Guatemalan culture and the stunning scenery are just a few. There is no doubt that when you leave Antigua, you too will understand why this entire city has been declared a designated UNESCO Heritage Site. What makes Antigua so special is that you don’t have to go very far to be entertained. 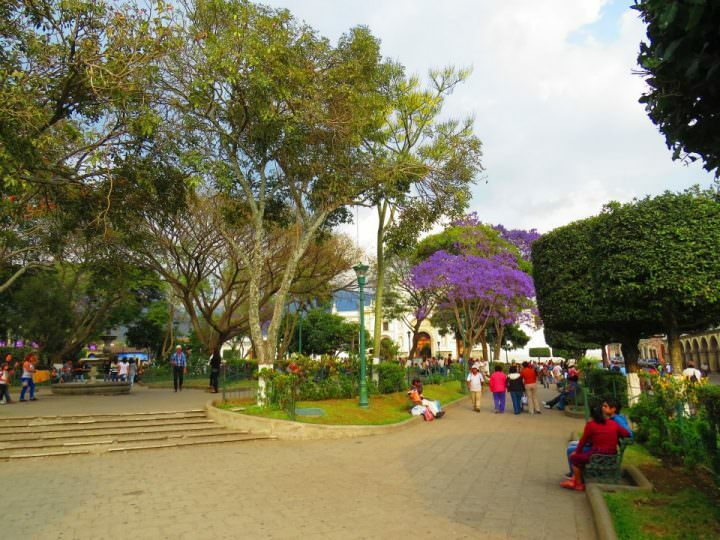 In the heart of the city is the Parque Central. This is the epicenter of the action where you can sit back and watch the bustle of the day. This beautiful park is filled with ornate fountains and lush trees; it is a place where both locals and visitors come together. 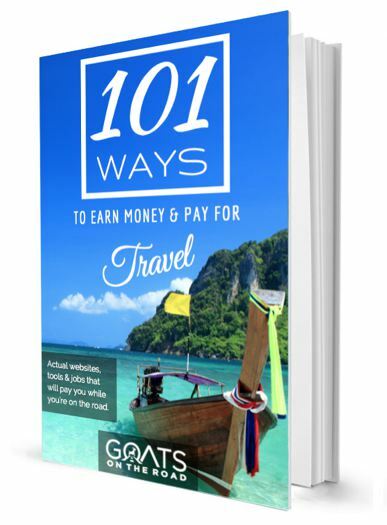 You will see the every-day things like old men playing board games together or couples holding hands, to watching street performers and musicians dazzle you with their talents. This is a great place to grab a coffee and watch the world go by. 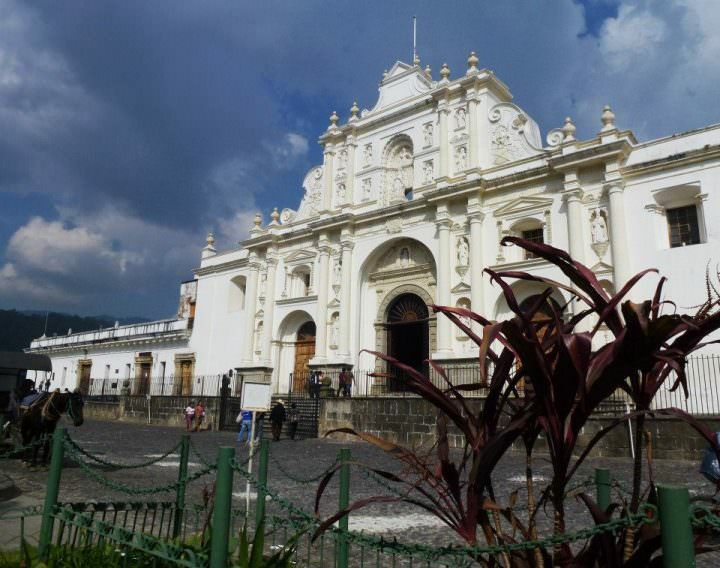 There are 35 churches in Antigua and most are in close proximity to the Parque Central. Across the street is the Cathedral de San Santiago. This prominent church is lit with thousands of lights, which at night creates the most magical scene. Another well-known church is the San Francisco Church. It is one of the oldest churches in town that still holds regular ceremonies. 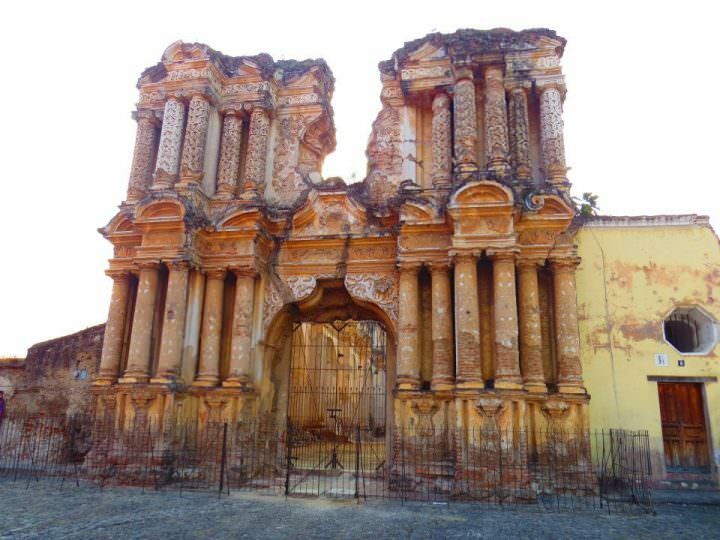 There is also a museum that is attached to this church, as well as the tomb of Saint Hermano Pedro; a highly respected local, known for building a hospital for the poor. 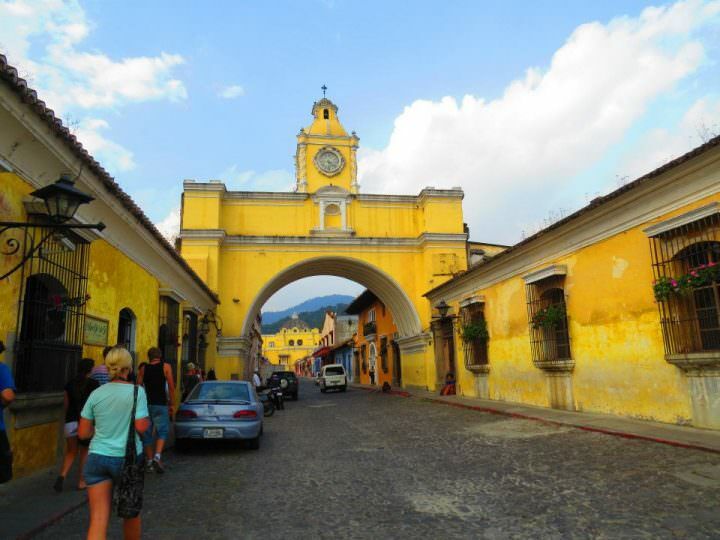 One of the most distinguishable landmarks in all of Antigua is the Santa Catalina Arch. 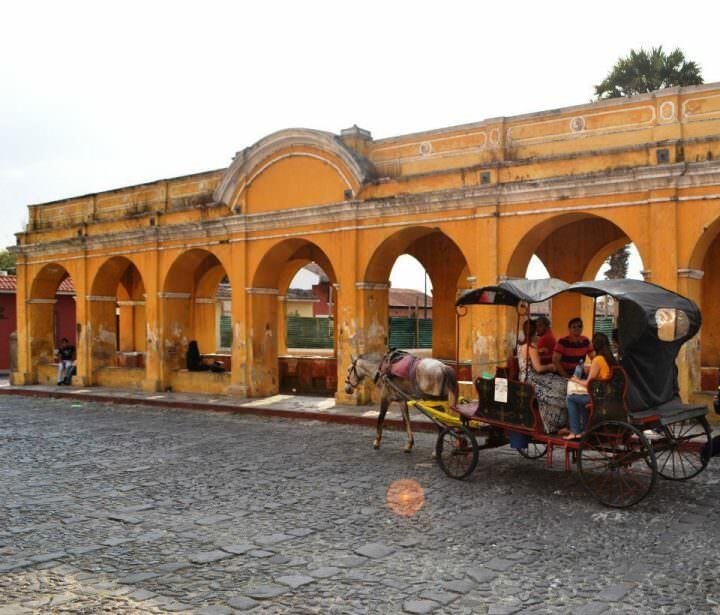 This vibrant yellow arch was built in the 17th century and originally served as a passageway for the nuns of the Santa Catalina convent to pass from one building to the next, without going out on the street. One thing that you don’t want to miss while you are in this city is shopping at the local Mercado. This market is located near the bus terminal and is sectioned off into different areas. 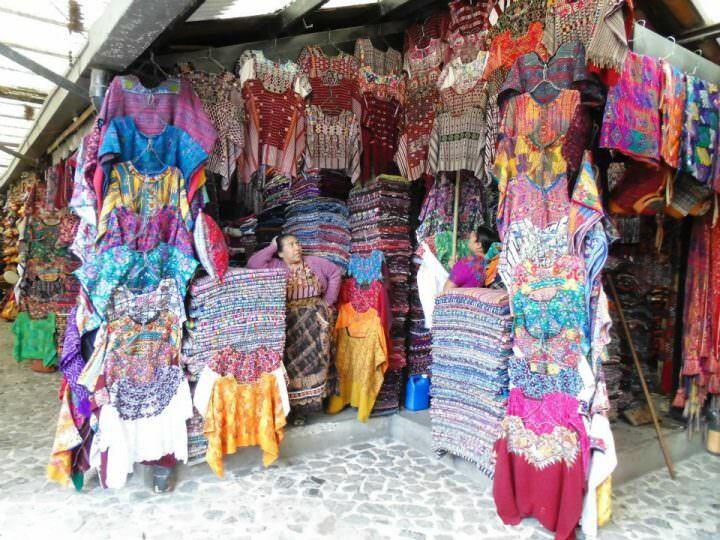 The rows upon rows of beautifully made Guatemalan handicrafts are endless. Getting a great deal on a leather bag, or a colourful throw is quite an easy task. The vendors are friendly and there is a never-ending melee of deals. 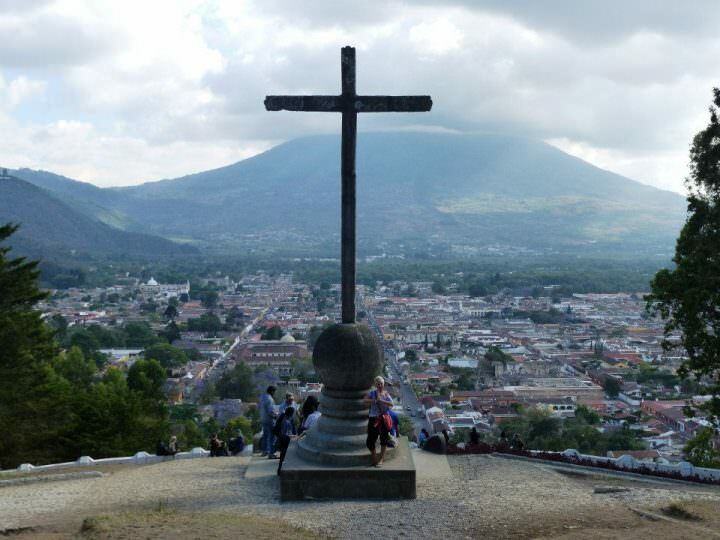 Just a short walk from the center of town is the Cerro de la Cruz. This is a large cross at the top of a massive hill. Once you climb to the top of the hill you will enjoy the most spectacular panoramic views. The hike up is fairly steep, however there are steps and benches to rest along the way. Many guidebooks warn travelers about the high prevalence of crime in this area, however I can say from personal experience that I didn’t feel unsafe even once. Because this is such a popular stop for visitors there are so many people around and they even have police officers patrolling the area between 7am and 6 pm. The view from the top is well worth the effort and when the skies are clear your photo opportunities are endless. Antigua is the hot spot for salsa dancing. When I was there a few of us signed up for a class and even though at times I am sure we looked like we had two left feet, it really was a blast. There are several dance studios in the area and many offer free classes in the evenings. Ask around or take notice of the bulletin boards around town and you will surely find a place to let loose and move your hips! 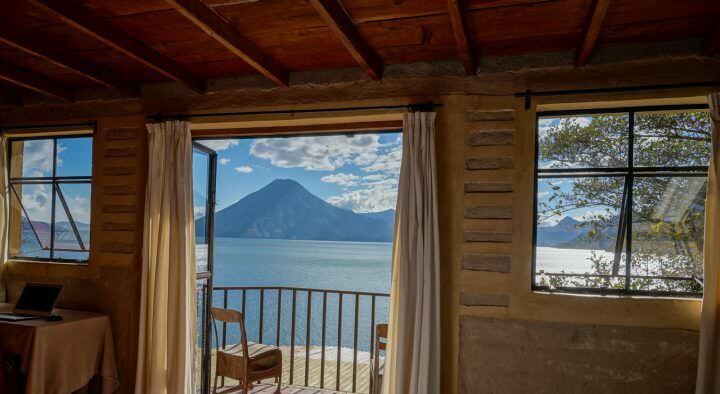 There are three volcanic mountains that surround Antigua; Volcan Agua which stands at 12,356 feet, the active lava spewing Volcan Fuego and the tallest but dormant Volcan Acatenago. All three are seldom hiked and instead Volcan Payaca is the volcano of choice. Payaca stands at 8,373 feet and is approximately an hour and a half drive from Antigua. 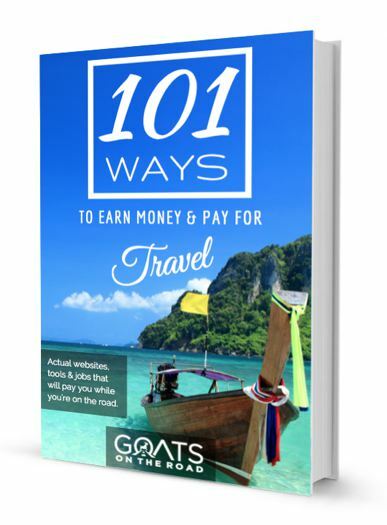 There are many day trips available which are quite popular, and usually cost about $60 US including transportation. And finally, you can’t leave Antigua without tasting some of the popular street foods. There are many restaurants of all ethnic varieties in the city, but ordering from street vendors is an inexpensive and delicious way to delve into the Guatemalan culture. The Rellenitos de Plantano are a local favorite. These are a mixture of sweet plantains, refried beans, chocolate and cinnamon that are deep-fried and served with either powdered sugar or honey on top. Definitely a must when you are in Guatemala! Antigua has so much charm and truly is a gem of a city. 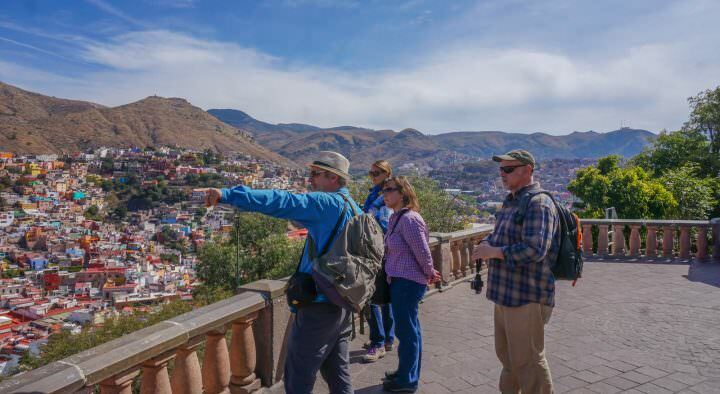 With its cobblestone streets, rich culture and beautiful natural surroundings, it’s definitely a place that should be on everyone’s list when traveling through Central America. I certainly enjoyed my stay in Antigua and I can promise that you will as well! You can read more about Heather in the author’s bio below. Saint Hermano Pedro was NOT a local. He was born and raised in Tenerife,Spain. He left Spain at 23 for Guatemala.